Security at the Alberta legislature will be stepped up following the shootings in Ottawa and Parliament Hill on Wednesday. 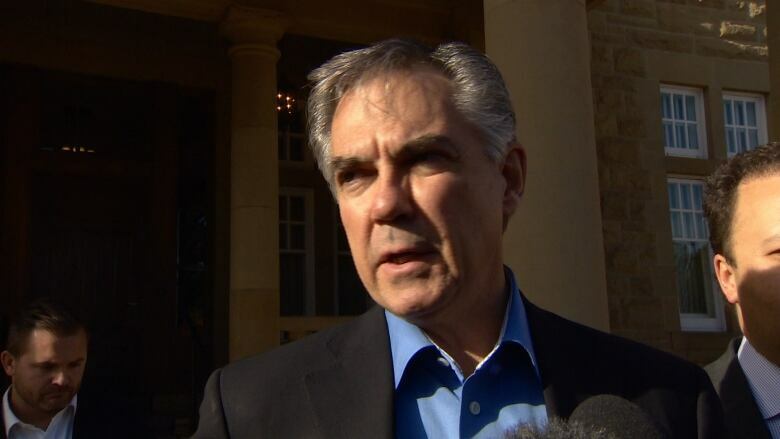 Premier Jim Prentice said. Security at the Alberta legislature will be stepped up following the shootings in Ottawa and Parliament Hill on Wednesday, Premier Jim Prentice said. Legislature staff confirmed earlier on Wednesday that public tours and unscheduled visits have been cancelled for the day. However, Prentice said there is no direct security threat at this time. "The sight on television of gunfire in the House of Commons is just too disturbing to even put into words really, as somebody who has spent a lot of time there," said Premier Jim Prentice on Wednesday afternoon. (CBC)Alberta Justice Minister and Solicitor General Jonathan Denis said the legislature has "robust security" including armed sheriffs, security instruments and protocols with local police. "We have no information suggesting a threat, but we will be vigilant and adjust our security measures appropriately in concert with other public safety and security agencies," Denis said in a written statement. Denis said he would be meeting with law enforcement agencies to ensure all provincial buildings and their staff were safe were up to date, but added the Legislature would be doing business as usual. Earlier Wednesday, Prentice tweeted that he was shocked by today’s events and sent his thoughts and prayers to the soldier who was shot at the National War Memorial. Alberta's Minister of Jobs, Skills and Training RicMcIver, in Ottawa for meetings, became an unwitting witness to some of the events as they unfolded. McIver was standing on Wellington Street, just outside the Centre Block gates, when he heard shots east of Parliament Hill. Then he saw a man holding a weapon. “I saw the shooter with a long rifle, three-quarter or a long coat running across that way so we went back across the street to where we thought we could get out of the line of bullets behind blocks," he said. Public tours at the Alberta legislature were cancelled Wednesday. 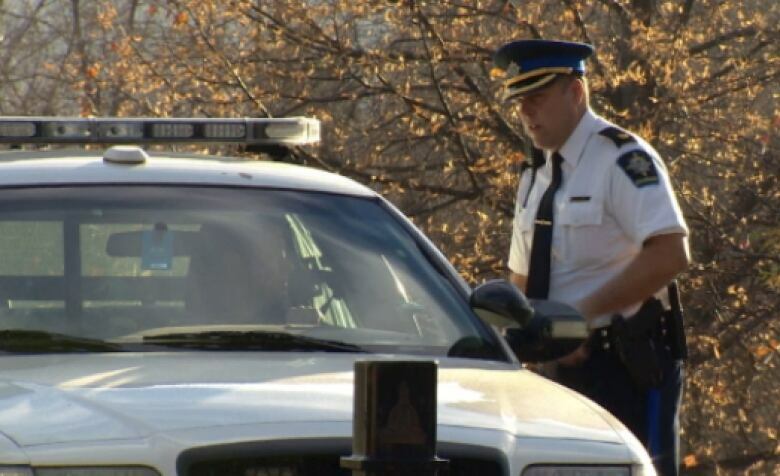 (CBC )A Toyota pulled up and McIver saw a man get out of the car, and start walking towards the Parliament buildings. "It was a little frightening," McIver said. "I was worried about people's safety." Prentice also confirmed that Doug Horner, the MLA for Spruce Grove-St. Albert, was also in Ottawa on Wednesday. “[McIver and Horner] were in the vicinity of what happened at the war memorial, is my understanding," he said. Linda Duncan, the MP for Edmonton-Strathcona, said shots were fired right outside the room where the NDP caucus was meeting. “It was absolutely terrifying hearing those shots ring through the hall,” she said. "The shooter was between us and a thin wooden door." Duncan said security staff got them to lie on the floor and then moved the MPs to another, undisclosed, location. "So it's pretty incredible how they managed to usher us out of there to safety in very fast order." Calgary-Centre North MP Michelle Rempel told CBC News it was a chaotic scene on Parliament Hill when the incident began. Rempel, who is the minister of state responsible for Western Economic Diversification Canada, said she hid under a desk for an hour after hearing shots in the Centre Block. Rempel said she and another Alberta MP, Blake Richards, took refuge in an office, staying put for an hour, not knowing what was happening nearby. Rempel said she heard three waves of shots being fired. After a period of calm, the junior cabinet minister said they were pulled from their hiding place by heavily armed police officers, and taken to another room with 100 people inside. They remained there under the protection of dozens of armed officers. Debbie Healy, the executive assistant for Edmonton-Leduc MP James Rajotte, told CBC News that the situation was "chaotic and scary." "I've been here for over 25 years and I've never seen anything quite like this," she said. Despite the closure of Canadian Forces bases across the country, the Edmonton Garrison remains open as usual, spokeswoman Cpt. Donna Riguidel told CBC News Wednesday morning. She said that could change. "Obviously we're watching the situation in Ottawa very closely," she said. Riguidel said that the news of the shooting “shocked and stunned” members at the base. While no extra security is in place, she said the military is asking soldiers to remain on guard in case of other attacks. "It is offensive to me as a Canadian that our Canadian military is dealing with this on our home soil," she said. "But at the same time our soldiers, our airmen and airwomen and sailors are highly trained and security and safety is foremost in their minds. And they will remain vigilant. Things will be responded to appropriately. But RosanDeGuzman, who runs a dayhome on the base, said more should be done. "Me, I have children and there's a lot of families here," she said. "This is not business as usual. They should take this more seriously." DeGuzman said she'd like to see the base closed to visitors for now. University of Calgary political scientist Michael Zekulin, who specializes in terrorism and radicalization, says the incidents in Ottawa have the hallmarks of being a terror attack. Zekulin said it seemed unlikely the attack was directly coordinated with the hit-and-run incident that killed one of two soldiers near Montreal earlier this week. However it might be part of a copy-cat effect, he said. “I would imagine that this is simply an incident of … somebody who has witnessed what happened yesterday and has basically decided that this is now their time to make their move,” he said. News of the attacks in Ottawa was unsettling for people on the streets of Calgary. “It’s home-grown now, so that’s really concerning. And if it happened in Ottawa or Montreal, it could happen here,” said Calgary resident Monty Diocee. RCMP are asking anyone with information about the incident call the National Security Information Network at 1-800-420-5805.